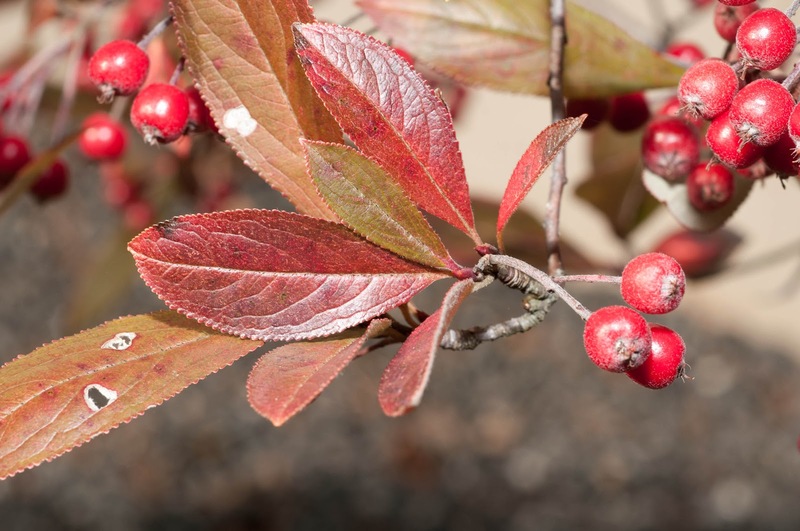 The North American shrub known as Chokeberry had an extreme makeover once its nutritional profile was discovered. High in vitamin C and antioxidants, it is being touted as the healthiest fruit in the world. This new “superfood” was re-branded as Aronia (its scientific name), and it is now a common addition to juices and other health snacks. Typically a bit too astringent to eat raw, hence the original name, the fruit can easily be used in jams and jellies and even wines. It can also be made into syrup and tea. In the Forest Garden, it will attract beneficial insects, can withstand periods of drought, can be used as a windbreak and fruit-bearing hedge, and is strikingly beautiful most of the year. 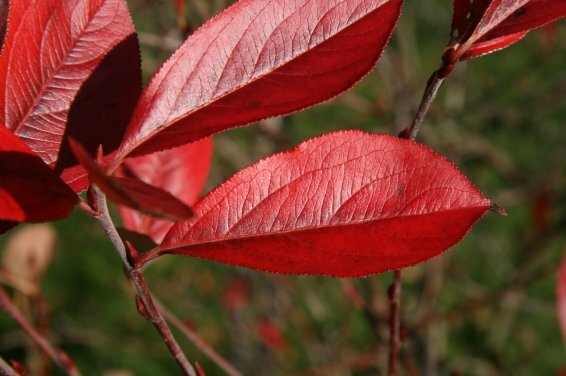 The Aronia species are native to eastern North America. They have likely been used for thousands of years by natives for food and medicine. They have been used for some time as ornamentals, but it is only recently that they have become significantly more popular once they gained “health food” status. 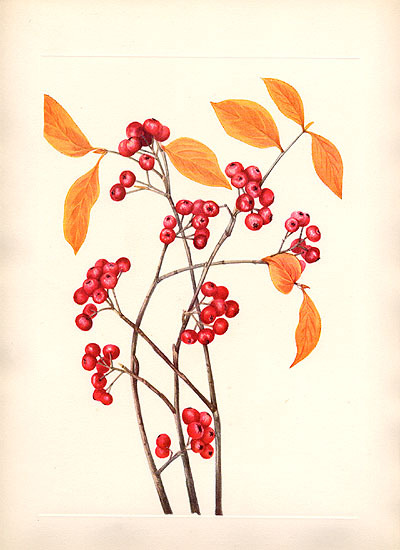 The common name “Chokeberry” was given because, when raw, the fruit is typically too astringent (drying or mouth puckering). 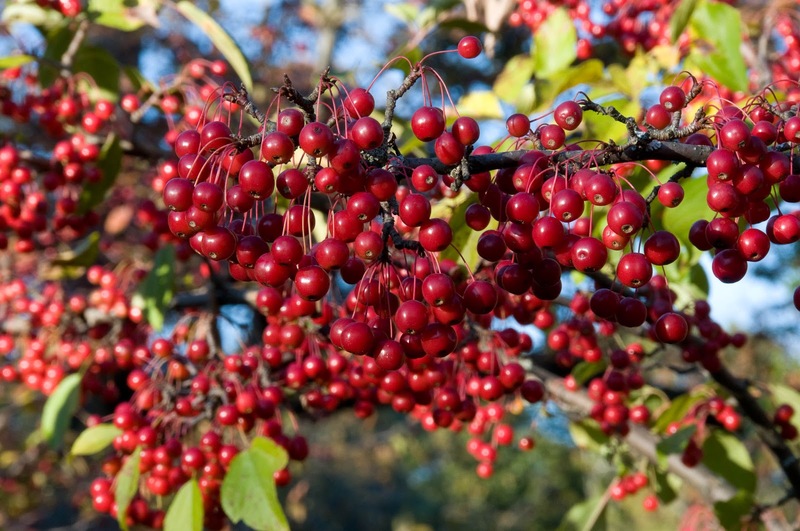 Many birds will avoid this berry until all other fruit sources are gone. 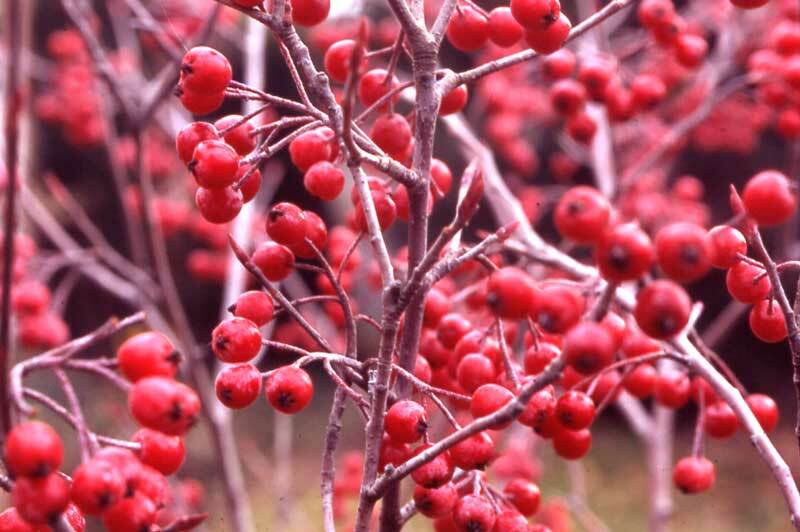 This will often leave the fruit on the plants through mid-Winter. 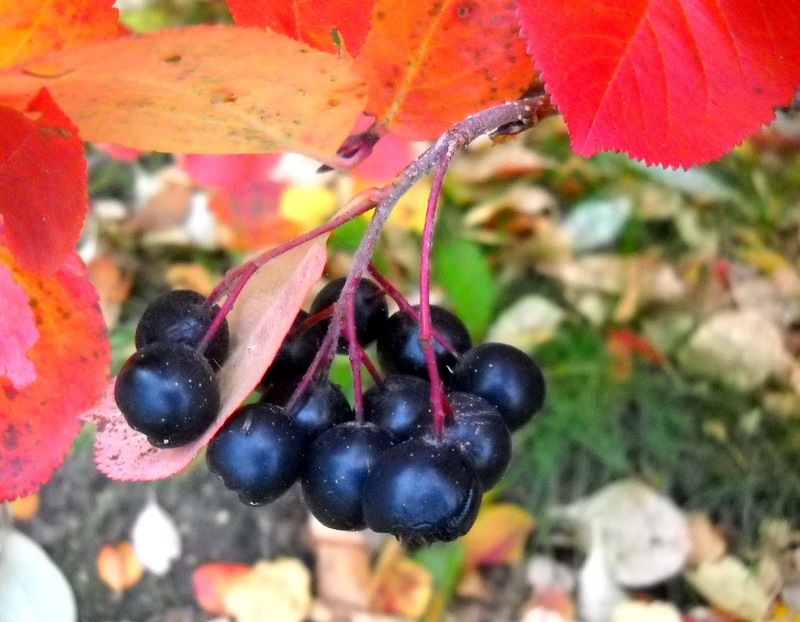 The Aronia (aka ChokeBERRY) should not be confused with Prunus virginiana, the ChokeCHERRY, although fruits from both similar-looking plants are edible. 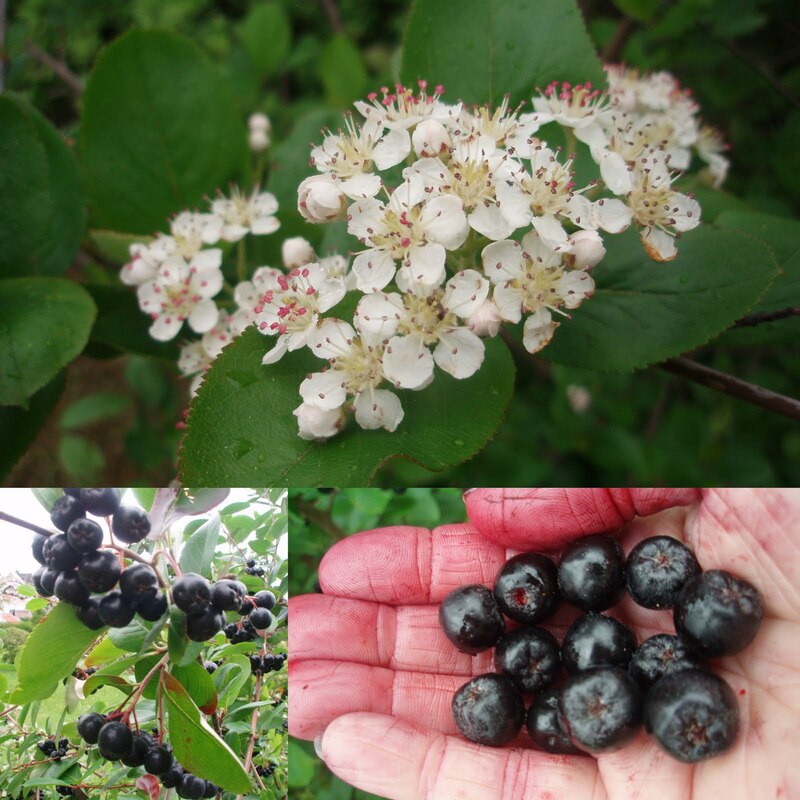 The fruit of Aronia is very high in vitamin C and antioxidants (specifically anthocyanins found in the Black Chokeberry (Aronia melanocarpa). A mature plant can have up to 40 canes per shrub. Edible fruit – usually cooked. 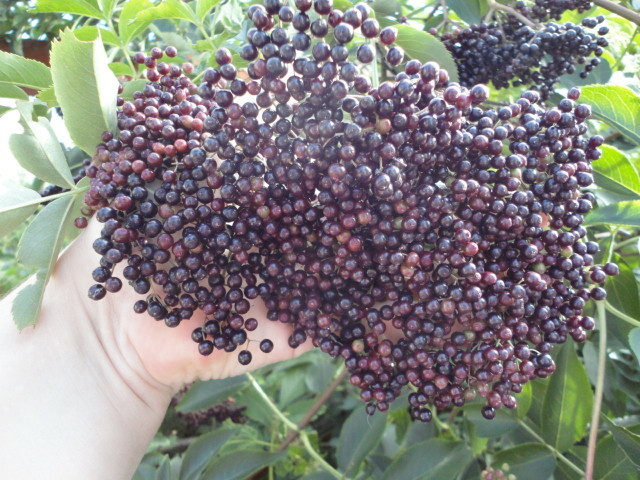 Some improved varieties are mild enough to be eaten raw (see Trivia above). 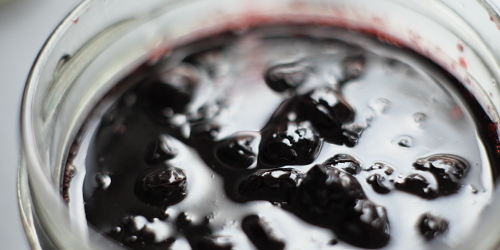 Preserved Fruit – jams, jellies, preserves, etc. (naturally high in pectin). Can also be dried and used in teas and pemmican. Juice can be reduced with heat to make syrup. Primary or adjunct flavor in wines, but likely could be used in beers and liquors. Drought-Resistant Plant – can withstand low water periods, but not extremely prolonged dry periods. Yield: This varies dramatically on age, variety, and growing conditions, but a mature plant can average 22 lbs (10 kg) per year. Reports of almost 40 lbs (17 kg) per bush have been reported. Harvesting: Autumn. Only harvest when fully ripe. Taste is better after a frost. 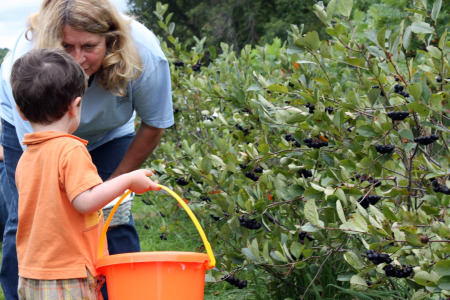 A berry comb will greatly assist harvesting the small fruits. Storage: Best when used fresh. 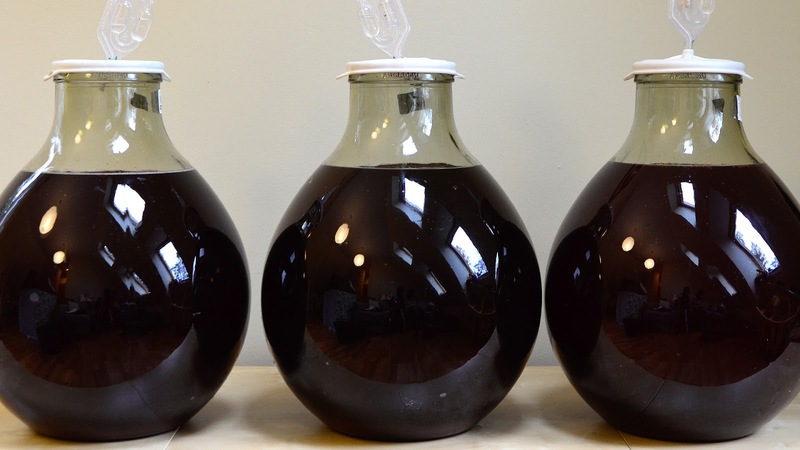 Can be stored in a cool place (like a refrigerator) for up to two weeks. Chill Requirement: Likely, but no tested information is available; however, some studious amateurs suggest 800-1,000 chilling hours/units are needed for good flowering. Pollination: Self-Pollinating. Pollinated by insects. Years of Useful Life: No good information available, but this plant freely suckers. As one plant is starting to decline, a suckering plant can be established to take the original plant’s place in the garden and in production. 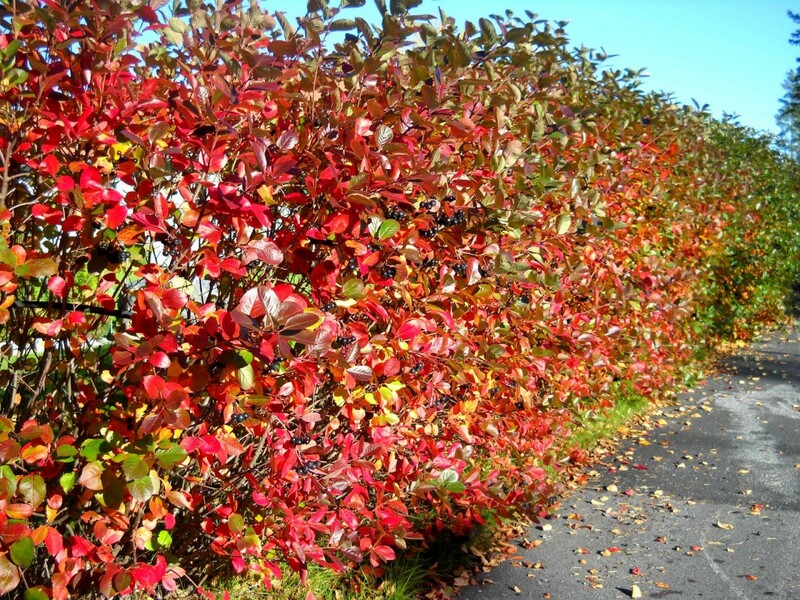 These shrubs can be quite prolific! Consider growing an improved variety for more or larger fruits. 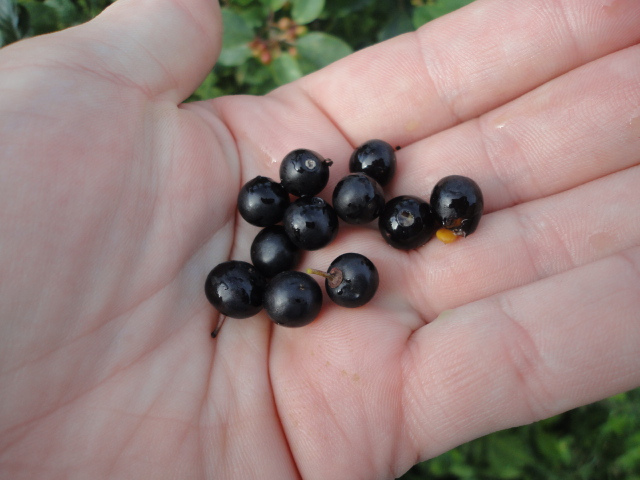 Aronia does not tolerate juglone (a natural growth inhibitor produced by Black Walnut and its relatives). Consider using another plant as a buffer between your walnuts and Aronias. Usually from seed. Needs 12-13 weeks cold stratification for germination. Can be propagated from cuttings of half-ripe wood in Summer (cut one half inch below a node). Can divide suckers in late Autumn and Winter when the plant is dormant. Minimal, but will need to cut back suckers if not wanted. Also, thinning older canes once every few years will keep the plants more productive. Red Chokeberry (Aronia arbutifolia) can sucker a bit more aggressively than the Black Chokeberry (Aronia melanocarpa); however, these are rarely invasive.